We went to the Umoja Center, supported by Nature Bound Africa, in Arusha, Tanzania in July. We brought clothes and school material and spent some time with the students who were eager to learn about our home countries. 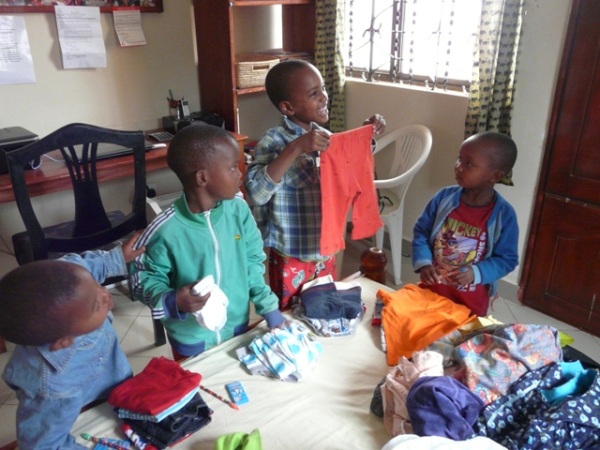 The Umoja Center sent us pictures of the distribution of the donations. Caroline, the founder and director of the Umoja Center said, For them it was like Christmas, in the month of July. It was a great experience and I can recommend the Umoja Center as a good project to support for Pack for a Purpose. To read about my experience on my blog, click here.